He has been an active member in the Vancouver Academy of Osseointegration with Dr. Ira Sy, he was the founding member of Richard V. Tucker Gold Study Club #50 with Dr. R.J. Clarke www.rvtucker.org, an 8 year member of Kaizen 2 Interdisciplinary Study Club with Dr. Bud Sipko, a 5 year member of the Greater Vancouver Endodontic Study Club with Dr. Bradley Mar, and a 4 year member of the Vancouver Periodontal and Prosthodontal Study Club with Dr. Jim Grisdale. Recently he has been attending the Kois Center in Seattle to further his skills in comprehensive dental care. Please visit his club’s website at www.escapevelocity.bc.ca. 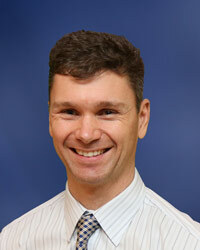 Dr. Forsyth also enjoys running and has participated in some of the trail running events around the lower mainland.